Check out our partner directory. Nielsen is the world leading company in market and consumption habit investigation. With presence in over 100 countries they provide their clients with valuable information of consumption and trends, developing a constant innovation and growth strategy. Nielsen work with Minderest by implementing our price intelligence and online catalogue software to those clients with the highest of requirements for precision and scalability that wish to take a step further in their pricing strategy. If you would like more information about what Nielsen and Minderest can do for your company please do not hesitate to contact us via the contact form. GfK is Germany's number one market research company and also one of the largest worldwide. 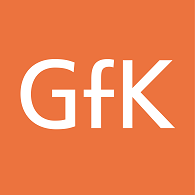 GfK is present on all five continents and operates in over 100 countries, employing over 13,000 people. GfK collaborates directly with Minderest for the analysis and design of price intelligence projects for the retail and consumer goods industries. With over 190.000 employees, Capgemini is present in more than 40 countries and this year, 2017, they are celebrating their 50th anniversary. One of the world´s leading companies in consults, technology and outsourcing, the group achieved global revenue of 12.500 million euros in 2016. Capgemini, in collaboration with their clients, create and delivers creates and delivers the technological, digital and business solutions that best fit their needs and that allow them to achieve innovation and competitiveness. Being a deeply multicultural organization, Capgemini has developed its own way of working, Collaborative Business ExperienceTM, based on their production model Rightshore®.